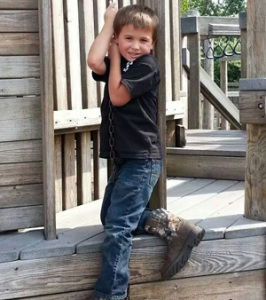 DODGE CO. (WITI) — Dodge County officials have identified a seven-year-old boy who was severely bitten by a dog — and later died from his injuries. The boy is Logan Meyer of Hustisford. The dog that had severely bitten the boy was a Rottweiler owned by the family; a dog that was being trained as a service dog. All of this unfolded at Meyer’s Hustisford home around 5:20 p.m. on Friday, October 24th. “We received a call from the mother who stated that he was bitten by the dog AND when we arrived on scene it was a horrific scene,” said Dodge County Sheriff Patricia Ninmann. Sheriff Ninmann says the child let the dog out in the yard to relieve itself. 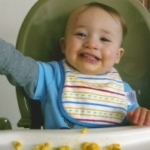 “From that point on, we don’t know what transpired to make the dog bite the young child,” said Ninmann. TOWN OF HUSTISFORD, Wis. —A 7-year-old Dodge County boy was killed Friday night by a dog. 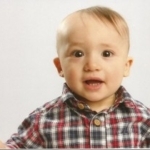 “At some point our dispatchers began to talk the mother through CPR. Numerous first-responding agencies responded,” Loos said. Despite all the emergency personnel being called to the house, they were unable to save the child’s life. “The various individuals and agencies that were involved in this did a phenomenal job. 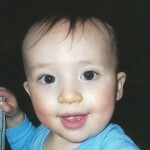 They were at the scene attempting to save this child’s life for quite a long period of time,” Loos said. 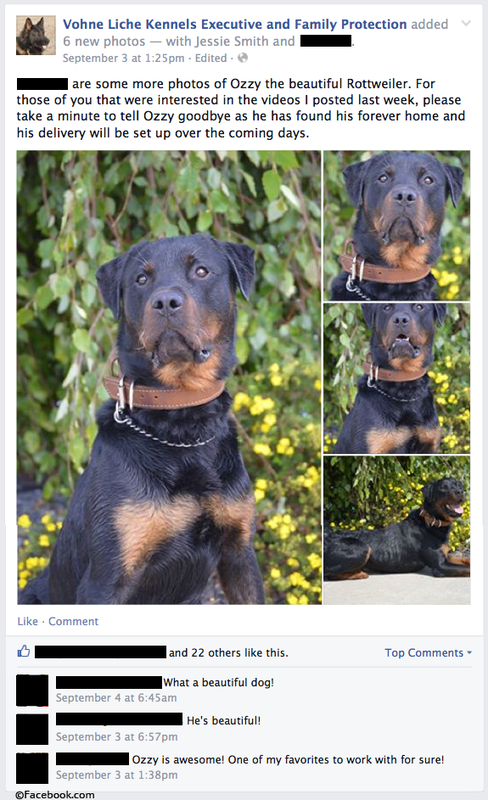 UPDATE 11/19/14: Dutch animal behaviorist and author, Alexandra Semyonova responds to protection dogs with a “switch” after a 7-year old boy was killed by a protection trained rottweiler living at his family’s home. She discusses why bringing an attack bred and trained dog into a home and hoping it will be a reliable family pet is a mistake. Enclosed below is Semyonova’s short response. Semyonova also provided a long response that discusses many additional details. Perhaps the most important thing this case should force us to realize is that you can’t take an attack bred and trained dog into a home and hope that it will be a reliable family pet. Both the breeding and the training that go into these dogs prohibit this. The dogs are bred in the first place for heightened reactivity, poor impulse control, low bite threshold, and unwillingness to back down in a conflict. The training they’re then subjected to amplifies these traits. The dogs are taught to attack on command, but also to make the decision to attack independent of any handler command. In attacking, the dogs are taught to bite with all their jaw strength, to grip and hold on no matter what the target does, and to release only when so commanded by their handler. This doesn’t mean that titled dogs can be relied on to release at the first command. Even at level 3 (the highest level), the IPO rules allow the handler to repeat the command three times. Only if the dog ignores the command a third time does the dog fail the trial. The idea that the dogs will limit their attack behavior to the training field isn’t realistic. They are being trained to exhibit this behavior anywhere they’re accompanying their handler. 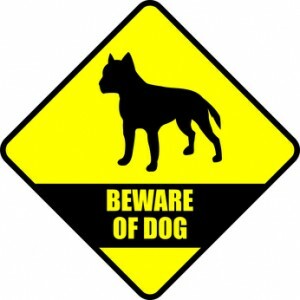 If someone buys the dog as a ‘personal protection’ dog for in the home, the home becomes one of the places where the dog is expected to show the attack behavior – but of course only if a burglar comes in. However, many of the cues these dogs learn as a sign that it’s time for an independent, non-commanded attack are human actions the dogs will frequently encounter in the home with welcome guests and family members. Dogs can’t read our minds. There’s no magical way for the dog to understand who is welcome, who is not, or that the attack chain must never be initiated even if a family member does give one of the cues (for example, a child running at the dog with a stick in the child’s raised hand, or one spouse shouting at the other in a marital argument). Unless each and every one of the home’s occupants and every guest who is ever invited in is an experienced dog trainer, who also knows exactly what actions will trigger the dog to attack, and who never makes a mistake or has a moment of not paying attention, there will always be the risk that the dog does what it was trained to do. There is no such thing as a ‘switch’ that will turn this off. Yes, you can ‘switch’ your IPO trained dog from tracking to attacking and back again if you know how and have the skills to do so, but you can’t flip a switch and turn the training off altogether. The video Vohne Liche so proudly posted of Ozzy behaving normally with strangers demonstrates, in my opinion, that Vohne Liche must know this. First of all there’s the very fact that a short episode of normal interaction with a few selected strangers is presented as an achievement to be proud of. This implies to me that Vohne Liche knows there are often problems with these dogs in family and neighborhood situations. Secondly, there’s the clear nervousness of Ozzy’s handler during this short video, the constant praising of the Rottweiler in a soothing voice, which strongly suggests the handler knew (or at least feared) that this Rottweiler had a not completely predictable or controllable hair trigger. Dogs that have been bred and trained to attack may have a function in certain contexts. Some of us would question whether it’s fair to exploit dogs this way at all, but that is a question for another time and place. What this case makes clear is that clear boundaries should be imposed on commercial traffic in these dogs. A trained protection dog can command a price up to $15,000 or more on the international market. It seems foolish to allow the people who exploit these dogs for commercial reasons to work on expanding their market regardless of whether there is a reasonable or urgent need, and regardless of how much danger that puts families in. On a final note, the following. The Dutch government’s Council on Animal Affairs acknowledges that this trade is becoming a serious problem. On August 15, 2014, it published a policy development paper, advising the government to take measures to prevent both failed and retired police dogs from being transferred into private hands as family pets. How sad that any such policy will now be too late to save the life of an American child who fell victim to this trade. This is a list of dog breeds that have a history of being potentially dangerous to people, especially children. Daxton’s Friends for Canine Education and Awareness understands that any dog has the ability to bite or inflict serious harm to humans. This list consists of several dog breeds that have a higher than average number of recorded human fatalities. Please use extreme caution if you choose to bring one of these breeds into your home. Rental communities and homeowners insurance may restrict many of the dog breeds on this list due to the likelihood of a serious incident. Rottweilers originate from Germany and are descendants of Mastiff-type dogs, sharing many of the traits and genetics of that canine lineage. Most likely the Italian Mastiff was spread by the Roman legion as the army invaded Europe around AD 70. Rottweilers are one of the oldest herding and guard dogs and are thought to be descendants of ancient Roman drover dogs. They performed as excellent herders due to their eagerness to control and intimidate cattle. They were once referred to as “Rottweiler butchers’ dogs” because they often pulled carts with butchered meat to market in “Rottweiler”, which was a popular and important trade center. The Rottweiler population dramatically decreased when the railroads were built and the need for them diminished. By WWI and WWI, the need for the Rottweiler increased due to their use as messengers, watchdogs, and guard dogs. Many property management companies, landlords, and insurance companies have policies against Rottweiler ownership. Some communities have restrictions or bans against the breed. Proper research needs to be done prior to ownership to ensure the dog will be allowed. Rottweilers are prone to entropion, ectropion, hip dysplasia, cancer, and ACL issues. They can overheat easily and hot temperatures can be deadly. They are average shedders and require little grooming. They are large dogs, weighing 75-130 pounds and have a life expectancy of 10-12 years. 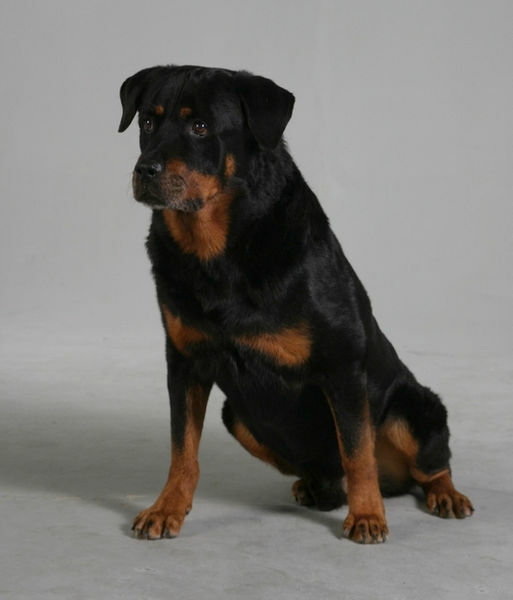 In North America from 1982-2013, Rottweilers were responsible for 514 attacks on humans, resulting in 81 deaths. Rottweiler mixes were responsible for 30 attacks on humans, resulting in 4 deaths.